8-9 minutes gradual set time! Unique in its characteristics. It will mix easily into a smooth, creamy consistency providing minute detail down to the fingerprints. Approximately 2lbs. 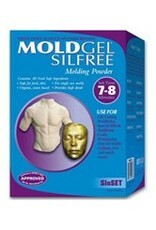 of MoldGel is sufficient to mold one life-size adult head. 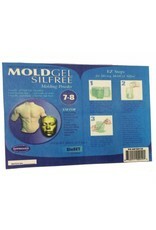 It is the healthiest, earth friendliest, most shrink resistant hydrocolloid impression material of its kind to date and . . . and provides 20-50-percent greater yields over traditional blends. The new formula is both crystalline silica-free (OSHA recommends elimination of this potential hazard in the work place) and dust free eliminating inhalation hazards during dispensing. It is also fluoride free and lead free which other formulas cannot represent. With all of these safety improvements it is by far the healthiest formula to use. The new filler along with the other food grade components enriches the soil when discarded. This earth friendly product now makes disposing of used material not only a simple matter, but CO2 reducing, too. It actually helps in the fight against global warming and promotes clean air by nurturing carbon dioxide eliminating and oxygen producing plants. Yet higher quality doesn't mean higher cost. Intriguingly, the new formula holds more water in suspension than the old mixes which creates greater yields of impression material per pound. 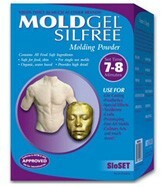 This means each pound of the improved mold powder when combined with water yields up to 20-50-percent more impression material compared to current formulations. As an example with its 3-to-1 mix ratio by volume (water to powder) it yields twice as much impression material as brands that offer only 1-to-1 mix ratios. But, that is not all. The new discovery not only improves mold detail without the use of more toxic fluoride salts, but its innovative ingredients contain a cell structure that delays mold shrinkage by enabling it to hold water far longer than similar impression materials. With delayed shrinkage casting can be postponed to a more convenient time while still retaining all the original detail that would normally be lost with current blends. When your mold is no longer needed just crumble it up and add it to the soil or the compost pile as a supplement to foster plant growth. 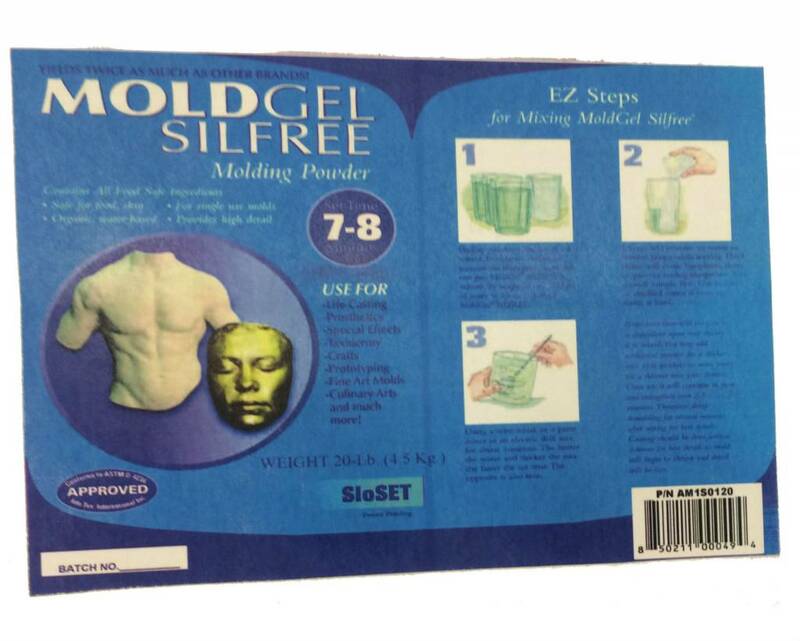 More importantly a high quality mold is assured every time through an improved manufacturing process that guarantees an ultra smooth and creamy, lump-free consistency. The advanced formula has been evaluated by Info Tox. International, Inc., a toxicology, occupational safety and environmental health testing lab and consulting company based in Riverside, California and has been certified: Approved Conforming to ASTM D-4236.